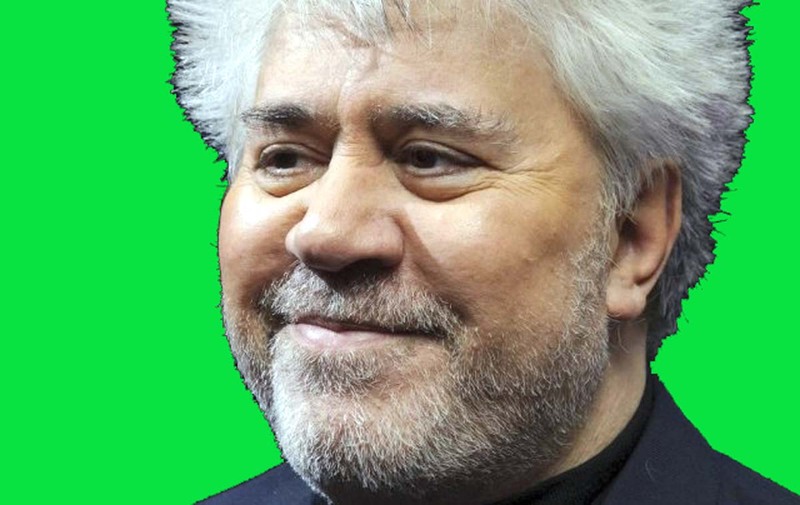 According to a poll conducted by the Spanish-based SigmaDos, Pedro Almodóvar is the best-known modern-day Spanish film director in his home country, Zinema reports. That should come as no surprise to anyone anywhere in the world, of course. In fact, what's somewhat surprising is that Almodóvar was named by 69 percent – as opposed to something like 99 percent – of Spaniards. Antonio Banderas, who has taken to directing in the last few years (Crazy in Alabama, Summer Rain), with 2 percent. The only female Spanish director among the top 20 is Isabel Coixet, whose English-language drama The Secret Life of Words, starring Tim Robbins and Sarah Polley, won the Goya Award for Best Film of 2005. Pedro Almodóvar began his filmmaking career in the mid-1970s – according to the IMDb, his first film was the four-minute 1974 comedy short Film político – but he would become an international star director only about a decade later. Among Almodóvar's most notable films are What Have I Done to Deserve This? (1984), with Carmen Maura and Luis Hostalot; Matador (1986), with Antonio Banderas, Assumpta Serna, and Nacho Martínez; Law of Desire (1985), with Carmen Maura and Antonio Banderas; Best Foreign Language Film Academy Award nominee Women on the Verge of a Nervous Breakdown (1988), once again with Banderas and Maura; and Tie Me Up! Tie Me Down! (1990), with Banderas and Victoria Abril. Also: The Flower of My Secret (1995), with Marisa Paredes and Juan Echanove; Best Foreign Language Film Academy Award winner All About My Mother (1999), with Paredes, Penélope Cruz, and Cecilia Roth; Talk to Her (2002), with Javier Cámara, Darío Grandinetti, and Leonor Watling; Bad Education (2004), with Gael García Bernal and Fele Martínez; and Volver (2006), with Best Actress Oscar nominee Penélope Cruz, Lola Dueñas, and Carmen Maura. Andrzej Wajda's 1977 political drama Man of Marble / Czlowiek z marmuru, made at the time when Poland was still under Communist rule, is the subject of Matilda Mroz's article “Fracturing the Marble Façade: Visceral Excavation in Andrzej Wajda's Man of Marble” in Senses of Cinema. Perhaps Andrzej Wajda learned that technique from Mae West, notorious for getting risqué material into her films of the '30s. Man of Marble features Jerzy Radziwilowicz, Krystyna Janda, Tadeusz Lomnicki, Jacek Lomnicki, Michal Tarkowski, and Piotr Cieslak. A sequel of sorts, Man of Iron / Czlowiek z zelaza – also directed by Wajda, written by Scibor-Rylski, and starring Radziwilowicz and Janda – would earn a Best Foreign Language Film Academy Award nomination in early 1982. Andrzej Wajda's Man of Marble Jerzy Radziwilowicz image: New Yorker Films. Among the São Paulo screenings are Dror Shaul's Sweet Mud / Adama Meshuga'at, a kibbutz-set drama that shared with Aviva My Love last year's Ophir Award for Best Israeli Film; Miguel Littin's The Last Moon / La Ultima luna, about the friendship between a Jew and a Palestinian in 1914 Palestine; and Oliver Hirschbiegel's Just an Ordinary Jew / Ein Ganz gewöhnlicher Jude, in which the Downfall director tackles the issue of “Jewishness” in early 21st-century Germany. and episodes from the Israeli TV series Florentine, about young Tel Aviv residents too immersed in their own lives to spend time discussing Middle East politics. Eytan Fox is expected to be present at the festival. São Paulo, Rio de Janeiro, and Porto Alegre are home to the overwhelming majority of Brazil's Jewish population – somewhere between 100,00 and 200,000 people, depending on the source. Eytan Fox photo: Strand Releasing. “Suleiman Jamous is greatly respected by humanitarians like myself for his selfless commitment to the people of Darfur and his respect for human rights. Colleagues in Sudan tells me that his enforced absence from relief work has made access negotiations to volatile rebel-controlled areas less certain and more complicated. “As you are undoubtedly aware, Mr. Jamous is in need of a medical procedure that cannot be carried out in Kadugli. His absence from Arusha is an impediment to progress in the peace process to which your government has said it is committed. Suleiman Jamous, in his mid-60s, is a Darfur rebel leader who has been an important link between several rebel factions and aid workers in Sudan. Jamous, who has been suffering from abdominal problems, is at a U.N. hospital in the Darfur area. He fears he'll be arrested or suffer reprisals if he leaves the hospital.